Michael Bay, the director who is largely credited with launching the careers of Megan Fox and Shia LaBeouf, has set his sights on a smaller, furrier, four-legged star for the upcoming Transformers film. Freya, dubbed “Britian’s lonliest dog” by Mirror, is the latest addition to Transformers: The Last Night. The epileptic Staffordshire bull terrier has undoubtedly had a tough life. While most of us suffer a rejection or two in our time — especially if you’re looking to make it in Hollywood — Freya was rejected a whopping 18,000 times. 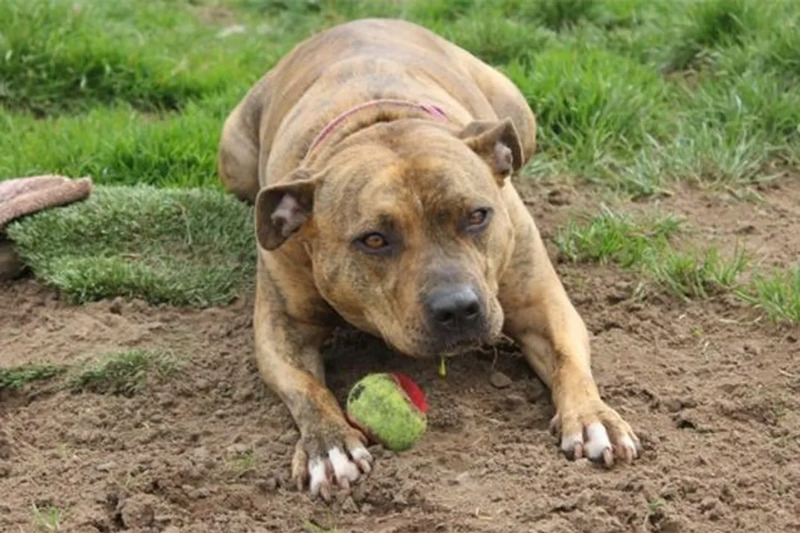 After a heart-breaking bought with homelessness, the Liverpool native was brought to a shelter at six months where she spent the rest of her six years being overlooked by every visitor who hoped to adopt. The poor little girl just couldn’t catch a break, that is until Michael Bay saw her story in Mirror and recognized that she had a face made for fame (kind of like the way he saw star power in a little unknown actress called Megan Fox, we’re assuming). Bay took Freya under his wing, and the rest is history. In addition to casting Freya in what’s bound to be her breakout role, Bay promised to help find the pup a home. In the event that no one wants to adopt the six-year-old pup (which is pretty slim considering she’s going to be a big, big star) Bay vowed to adopt her himself. Bay currently owns two bullmastiffs named Bonecrusher and Grace who travel with him between L.A. and Miami. Though the last Transformers movie Transformers: Age Of Extinction, was considered a massive fail among critics, it still raked in over a billion dollars in the box office. In China, the film was the highest grossing movie of 2014. In addition to Freya’s unexpected starring role, Transformers: The Last Night also cast Anthony Hopkins (but he’s not a dog, so who really cares? ).